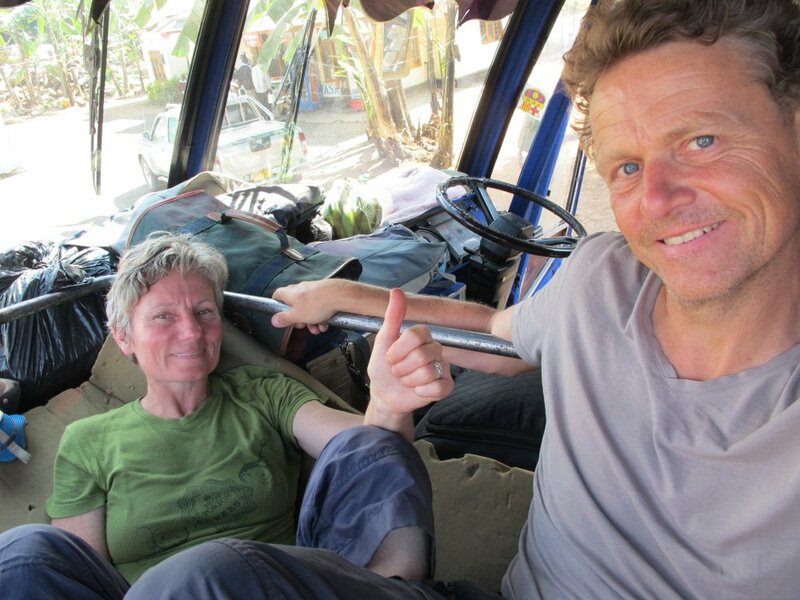 We made it to Zanzibar / Tanzania in an exhausting 24 hour bus ride from Malawi. Even though we paid the full fair there were no free seats for us. Therefore we were offered a spot on top of the engine block next to the driver. The area is just behind the wind shield and was covered with a foam mattress on to of rice bags. Here we held on to our lives while the driver was busy breaking all speed records and violating any traffic law in the book. Crossing the border to Tanzania I got into an argument about the price of the visa with the immigration officer; as usually traveling on an US passport was twice as expensive than Nadine traveling on her French ID. I suspected him trying to make some extra money but had to find out that I had wrong information and he was asking me only the correct payment. However, the argument that by paying US $100 I would prove that I had sufficient resources to sustain myself for the time of my stay in Tanzania still baffles me. In the end we kept our lives, made it through the borders, did not get kidnapped at midnight at the bus station in Dar Es Salaam, had a pleasant ferry ride to the island and arrived on the magical island of Zanzibar in one piece.. Here we spent the day wandering around Stone Town. 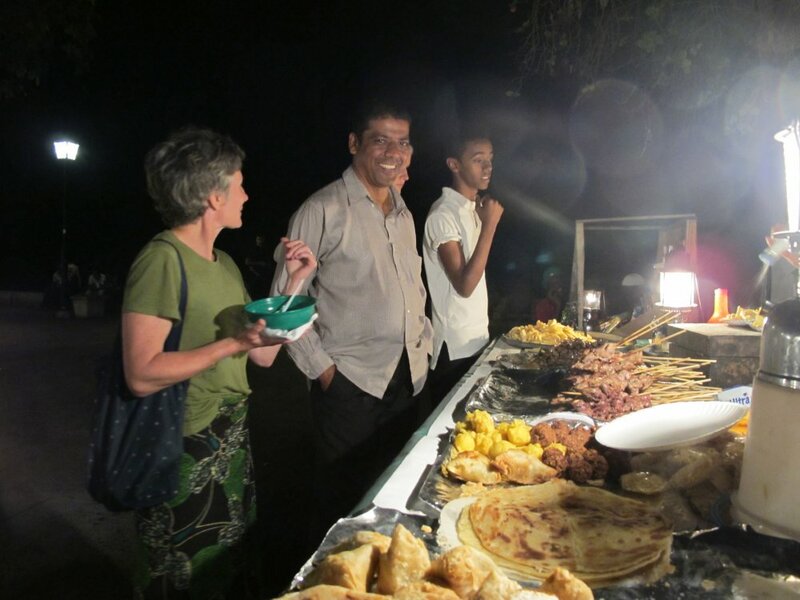 In the evening we met Servas member Lourence who showed us the night market with it’s delicious foods and offered us a house to stay at the beautiful Jambiani beach on the East shore of the island. That’s where we will chill for the next 4 days! This entry was posted in Tanzania - Zanzibar and tagged Africa, Around the World, Servas.org, Social Networks by Georg Fick. Bookmark the permalink.